You have to keep in mind that above mentioned odd are of American version of roulette. 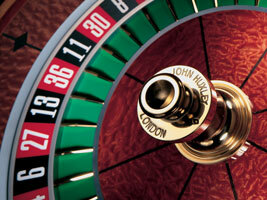 European roulette is better for the player as it does not consist of double zero. No double zero pocket is available in the European version which provides an advantage to you. You will have more chance to win the game in European version. 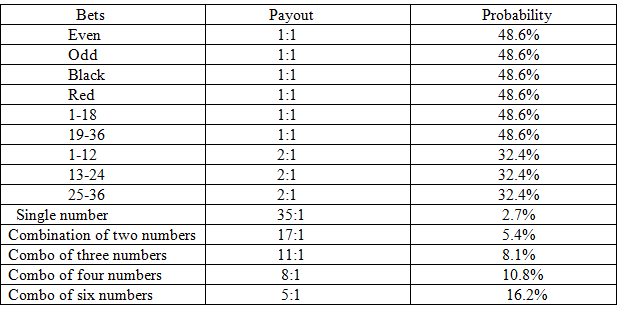 For instance, in European roulette whenever you place a bet of $1, you have a chance of getting back 97.37 cents (Since you have to give the house edge of 2.63%, you will get $1-2.63 cents). In American roulette, you will get just 94.74cents. 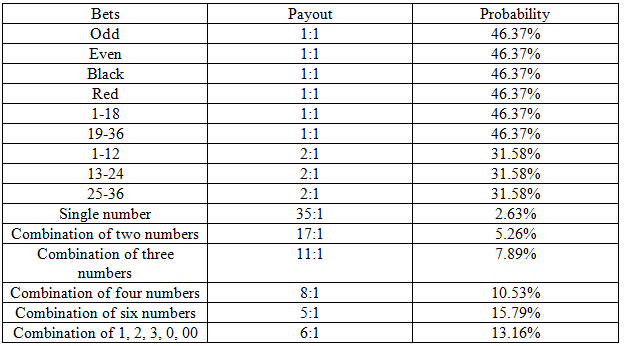 You have to memorize these tables before playing any version of the roulette so that you can place the bet on the table accordingly.